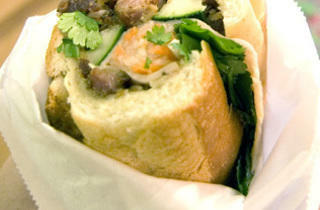 Photo: Virginia Rollison Trillin's perfect banh mi is at Saigon Banh Mi Bakery. Known to its fans as “the jewelry-store one,” the tiny Chinatown takeout operation does indeed share space with an accessories counter. 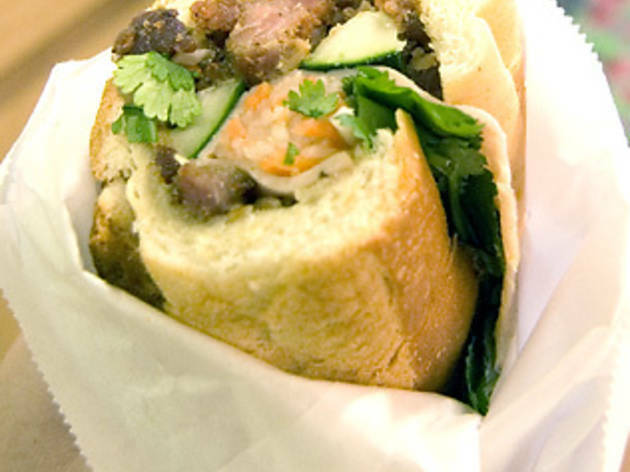 Regardless, the cheap prices, succulent pork preparations and crispy-chewy bread that’s baked in-house make it easy to overlook the odd location.